Williamsburg, Virginia (31 March 2014): Hip-hop producer turned contemporary jazz saxophonist Sam Rucker has something to say. Blending jazz, hip-hop, soul and gospel, he communicates through inspirational instrumentals that meaningfully resonate with listeners. 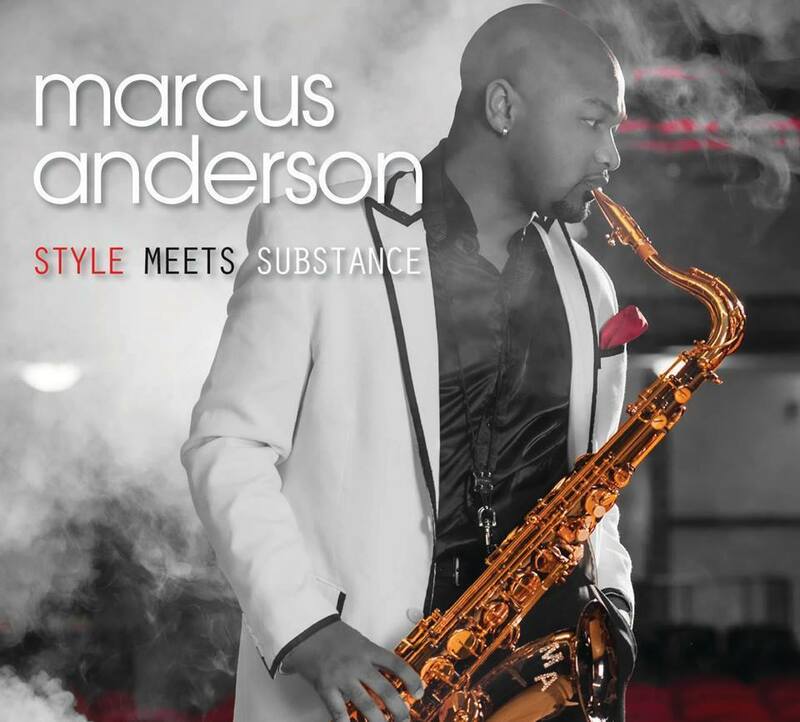 Nearly three years in the making, his sophomore album, “Tell You Something,” is slated for release from Favor Productions on June 3 and includes contributions from Norman Connors, Bobby Lyle, Tom Browne and Alyson Williams on the set mixed and mastered by Euge Groove. Rucker produced “Tell You Something” featuring eight originals that he wrote or co-penned. The tracks harness the rhythms and intensity of hip-hop, melodic phrasing typical of R&B, rousing gospel affirmations and improvisational jazz nuances. A fan of vintage R&B, Rucker was honored to share production chores with Connors on instrumental renditions of three classics: “Before I Let Go,” “Footsteps in the Dark” and Connors’ signature hit, “You Are My Starship.” Lyle’s keyboard wizardry is on full display on each cover tune with gregarious solos while Browne’s regal trumpet adds a touch of class along with a fervent solo to “Starship.” Williams’ glorifies “Before I Let Go” and “Footsteps” with her lustrous voice. But it’s one of Rucker’s own empowering compositions, “Be True 2 Who U R,” that will be the first to receive airplay from the radio-friendly disc when it is serviced to stations in May. 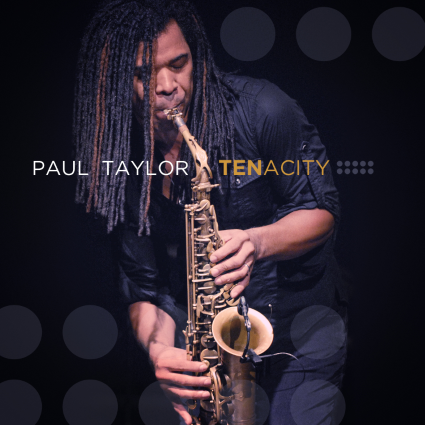 Rucker, who plays keyboards as well as tenor, alto and soprano sax on the record, elects to use his soprano horn over the chunky hip hop beats on the single. “My desire as an artist is not only to entertain, but to be a communicator – to connect with the listener in such a way that they are encouraged and inspired by my music. Even as an instrumentalist, I believe my music speaks lyrically and I use it to convey uplifting messages. I wrote ‘Be True 2 Who U R,’ ‘No Other Way’ and ‘Ain’t Nothin’ Like It’ to inspire confidence in one’s individuality. My music has a unique fingerprint and the songs on the album celebrate what the Creator put in me to share with the world. ‘Tell You Something’ and ‘A Million Ways’ convey my gratitude for the gifts He’s given me. ‘Brighter Day,’ ‘Love’s Melody’ and ‘A Long Way to Go’ were written to offer compassion for the sacrifices and struggles that we face in life and touch that place in our soul where adversity rests. ‘Brighter Day’ advocates that a brighter day will come if you keep the faith. The covers I selected pay tribute to some of the great R&B artists that shaped my listening while growing up. One of whom, Norman Connors, I had the pleasure of working with on this album,” said Rucker, a Virginia Beach, Virginia native who studied music while attending nearby James Madison University. Shortly after releasing his 2011 debut album, “Heat from the Heavens,” that introduced his formula of “hip-hop grooves + jazz melodies + a splash of inspirational lyrics,” Rucker met Connors and planning commenced straightaway for “Tell You Something.” The saxman toured as a member of Connors’ Starship Orchestra through 2012. Over the years, Rucker has performed with Peter White, Ronnie Laws, Phil Perry, Cindy Bradley, Ivan Neville, Howard Hewett and Gerald Veasley as well as Groove, Browne and Williams. His work as producer spans hip-hop, gospel and spoken word. 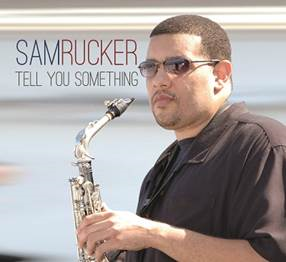 Rucker gigs throughout Virginia and looks to expand his routing nationally with the successful release of “Tell You Something.” For more information, please visit www.SamRucker.com and http://www.reverbnation.com/rpk/samrucker. What started out as a hobby for Anna Danes turned out to be the opportunity of a lifetime. For Anna, taking voice lessons from her mentor, Larry White, positioned her at just the right place at the right time. She didn’t hesitate in taking his advice to go into the studio and record a demo. It was then that she saw her own voice in a different light for the first time and embraced the idea of making an album. With her incredible voice and the help of White, she recorded her debut cd “Longing.” It is full of emotions, and love serves as the backdrop for every song. Anna describes it as a reflection of her life, both past and present. Hitmaker revisits his contemporary jazz roots joined by an all-star cast to reinterpret his debut album 20 years later. 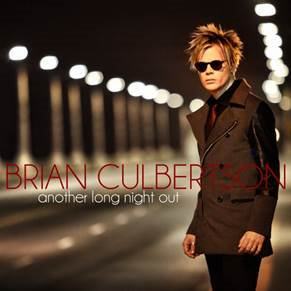 Los Angeles, Calif. (7 March 2014): Twenty years after the release of his debut album, “Long Night Out,” award-winning contemporary jazz/R&B multi-instrumentalist Brian Culbertson completely reimagined the collection as “Another Long Night Out,” his 14th album and first on his BCM Entertainment label, which debuts at No. 1 on the Billboard Contemporary Jazz Albums chart. The set spotlighting a stellar collective comprised of many of the contemporary jazz luminaries that influenced and inspired Culbertson to make the first record is the musician’s sixth album to debut at No. 1. Speeding up the Billboard Smooth Jazz Songs chart to No. 2, the first single, “Fullerton Ave.” featuring guitarist Chuck Loeb, is on the road to earning Culbertson his 27th No. 1 single as an artist, producer and songwriter. The day before the February 25 album release, Culbertson took over Sirius XM’s Watercolors for 16 hours programming cuts from the new collection as well as from some of the musicians featured on “Another Long Night Out” including Loeb, Lee Ritenour, Eric Marienthal, Rick Braun, Steve Lukather, Russ Freeman, “Patches” Stewart, Candy Dulfer and Jonathan Butler. Other noteworthy musicians appearing on the remake are Paul Jackson Jr., Jimmy Haslip, Will Kennedy, Nathan East, the late Ricky Lawson, Ray Parker Jr., Jeff Kashiwa, Larry Dunn and Ricky Peterson along with a 33-piece orchestra playing arrangements by David Benoit and Culbertson. For the first time, Culbertson has made the sheet music used during the “Another Long Night Out” recording sessions available for free on his website. Musicians that want to play along can purchase “Music Minus One” mixes for piano, bass, drums and “band only” (no piano or other lead instruments) on Culbertson’s webstore. Recorded in the bedroom of his crowded college apartment above a Chicago costume shop while he was a 20-year-old music student at DePaul University, the three demos that formed the basis of “Long Night Out” landed Culbertson a 6-album record deal. The notion to rebuild the album from scratch using fresh arrangements and feature performances from contemporary jazz royalty has long-ruminated inside Culbertson’s head and began with a wish list cast of musicians. Also a popular concert draw known for high-energy performances and masterful musicianship, Culbertson will begin rehearsals next week for an entirely new show that will be unveiled at a dress rehearsal March 12 for invited guests and 94.7 The Wave Los Angeles radio station contest winners with the first tour dates in support of “Another Long Night Out” taking place March 20-23 at Seattle’s Jazz Alley. Last week, Culbertson played a short set in Napa for Wine Country royalty as he launched his own wine, “Culbertson” Pinot Noir by Reata Wines, a personal blend he created in partnership with Jamieson Ranch Vineyards. 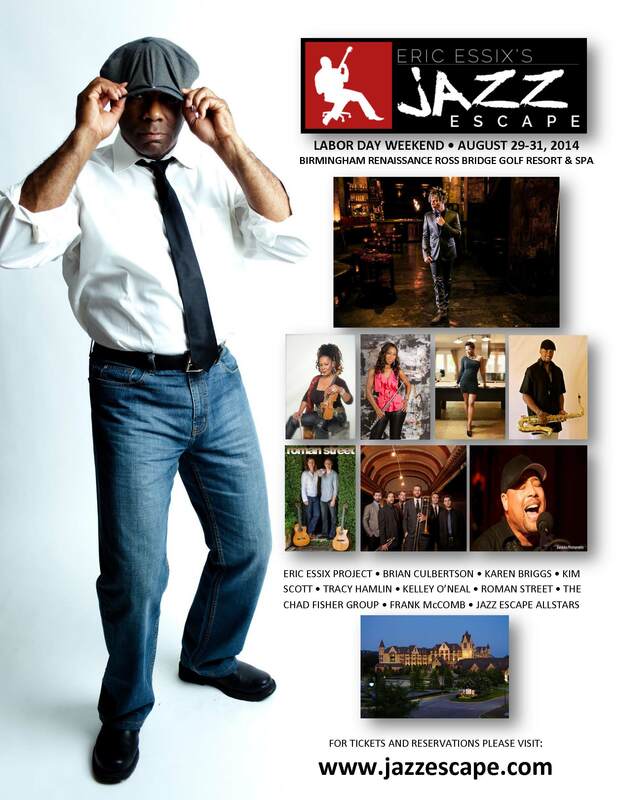 Tickets for Culbertson’s third annual Napa Valley Jazz Getaway, a star-studded wine and jazz festival that will again lure thousands of enthusiasts from all over the world to Napa June 11-15, 2014, are on sale now with the June 14 & 15 shows taking place on the stunning Jamieson Ranch property. For more information, please visit www.BrianCulbertson.me.